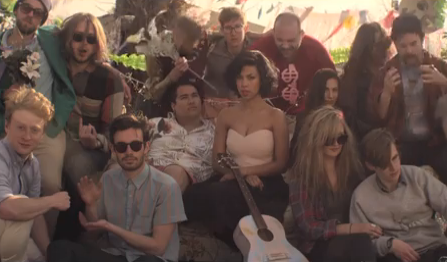 PHOX, the 6 piece indie-pop band based in Wisconsin has been charming the music world hard. The group describes their sound as “music that straddles Feist and Monty Python,” and their playfulness shines. Since the 2013 release of their debut EP, Confetti, the group was donned “Madison’s musical success story of 2013,” by The Daily Page. They also took the festival circuit by storm playing SXSW, and iTunes Music Festival in London. PHOX is also already highly beloved by NPR and has been popping up in publications like The New York Times, NY Mag, Salon, and Vogue, all with adoring reviews. Ah, South by Southwest – What a glorious, messy, magical music festival. It’s held in Austin, Texas, but don’t let the big T deter you (sorry, Tejas). 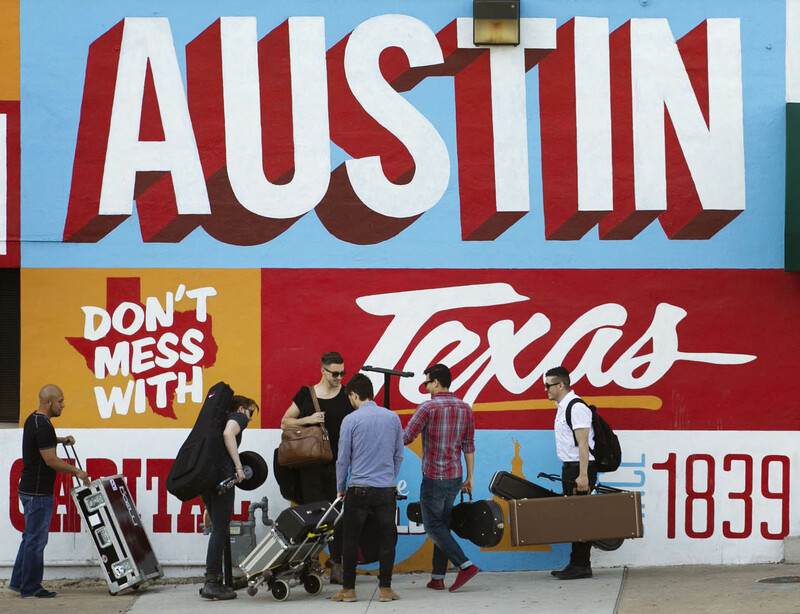 Austin is a funky town full of friendly folks, tattooed cyclists, glorious BBQ, breakfast tacos, a plethora of music fests, and a lot of innovative startups. Austin is a strange cross between Portland and San Francisco, with some hot sauce on top. I attended my very first SXSW last year (not ashamed to admit I hadn’t been up until then; you gotta start somewhere), and while people love to exclaim that it’s “not what it used to be,” that it’s become “too corporate,” and it’s “way too big now,” all of these points are probably very valid, it has been around since 1987, after all. However, you can still have a good time. Why? Because more than 2,000+ bands flock to the city to play for everyone, each other, and everywhere. Plus, there are usually free tacos and beer. No complaints! You can also rock out to a Finnish goth band in a burger joint, see your guilty pleasure Danish bubblegum pop princess perform in laundry mat, mosh your way around a bridge at 3 am to the most hype-worthy of punk bands and meet a lot of interesting people. I did all of the above last year and it was perfect, despite the moans of what SXSW “used” to be. This year? I opted to travel to Iceland and London instead and had merely 3 hours of vacation left by the time SXSW planning came about (a good 4-6 months in advance). Alas, it just wasn’t gonna happen. Am I moping? A bit, but that doesn’t mean I can’t jump on the SXSW bandwagon and write about the latest and greatest bands I hope those who are attending, have the chance to see. If you haven’t seen your Facebook and Twitter feeds blow up with SXSW updates yet, you will soon. The music portion of the fest is going on now (March 11-16th). So, whether you’re in the thick of the madness or listening from the sidelines, here are some of this year’s SXSW 2014 must-see (or listen to) bands. p.s. Did you know that Coco Stereo is on da radio? You do now! “Cuckoo for Coco’s Pop Underground” airs on BFF.fm every Sunday, 11 am – noon PST. I played a special SXSW must-see bands edition last week. Here it is in all its gloriousness + a handful more I couldn’t cram in one hour. Cate Le Bon – Are You with Me Now?